I absolutely promise you this is true. I have already convinced a friend to buy this product and I should state here right now that I have not been asked to write this post by anyone. This product (Oven Mate) has been in my cupboard for a while. I will however be providing you with an affiliate link because I found it is cheaper online. You don't have to use my link of course; you could just seen it as a thank you for my introducing you to this wonder product! Anyway. It is basically a gel. It is very potent and you must wear the gloves provided. It comes with a brush and the idea is that you paint the gel onto the dirt (avoiding any rubber seals) and leave it for 3 mins to 3 hours depending on what you are removing. This was my oven before hand. I coated the glass, the inside and the racks (which was quite difficult) with the gel and I left it for just over two hours. I returned with a bowl of water and a cotton cloth. I literally just wiped it off! 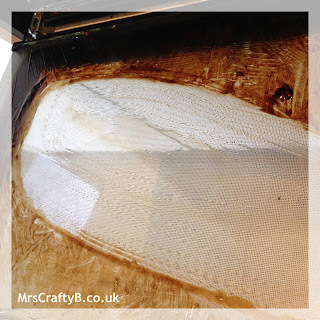 It was quite messy to remove as there was so much dirt and I did have to replace to water a couple of times but it was amazing not to have to try and scrub anything. If you look at the picture below carefully you can see on the rack where I missed spots. I have patches of shiny new and dirty filth patches. I will need to redo those. Here is my oven now. 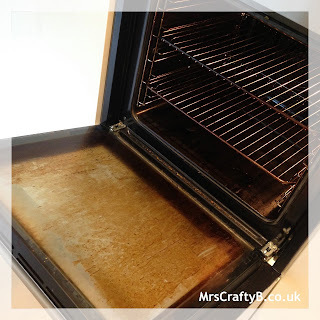 So once you have bought your amazing oven cleaning product you can get to joining in with this week's linky or of course reading what the #MakingHome crew have been up to over the last few weeks. *This was not a sponsored post. I was not sent this product and a review was not requested. I had Oven Mate in my cupboard. All opinions are my own. The link provided is an affiliate link. Let me know how you get on! You won't regret it! It is super easy. I reckon it will give your oven a new lease of life! Wow...that looks amazing. 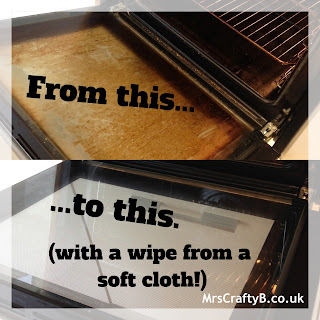 I try not to look at the inside of my oven, and most certainly don't want to get on my hands and knees scrubbing, so will definitely have a try with this. Let me know how you get on...so good! Wow, that oven cleaner is amazing - I'll have to give it a go, cleaning the oven is one of my most hated chores! It was certainly less of a chore with this. It was honestly amazing. I didn't think it would work! I am buying this after seeing what it did to your oven.... because my oven is ten times worse, I'm sure of it! 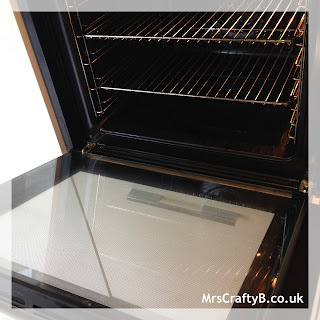 �� is your oven the type with the grill filament at the top? I always find that part to be real problem area! Our grill is a in the top oven so we don't use that as much. I am pretty sure this will sort it out for you. It was honestly great! 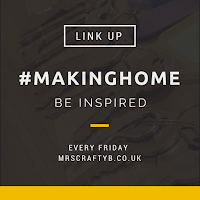 I hope you will stop by for #MakingHome when you can.